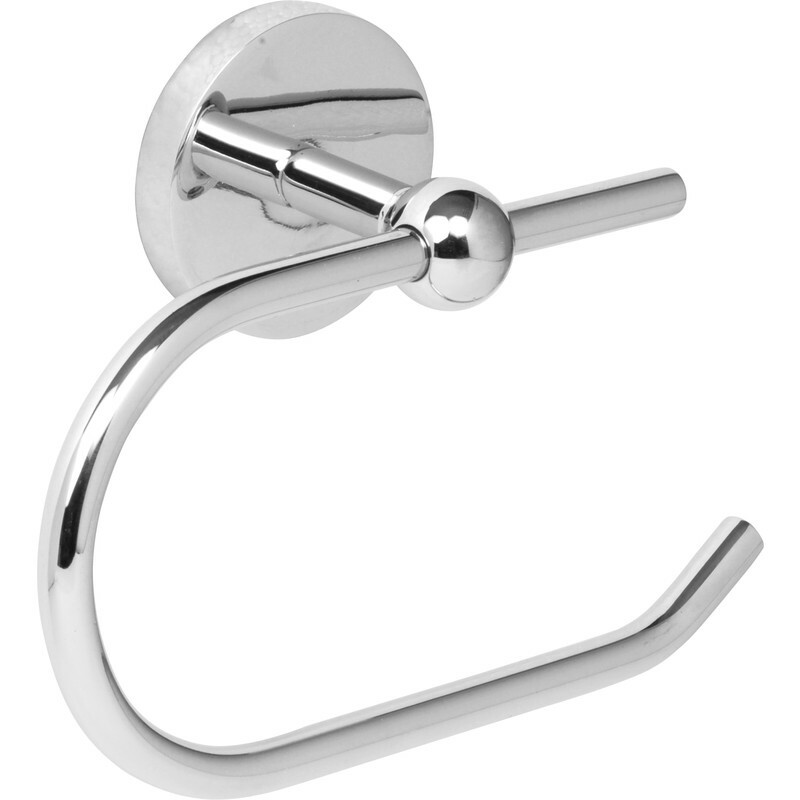 Polished Paper Holder Chrome is rated 4.6 out of 5 by 10. Rated 5 out of 5 by D700 from Holds the roll Well constructed and finished bathroom appliance. Rated 5 out of 5 by donthaveany from Good Value Good quality, easy to fit and use. Rated 1 out of 5 by Spiler from Problems - twice! I ordered and collected one of these but found that the fixing plate was the wrong size - too small. When I took it back, the counter service person agreed with me but there was no replacement in stock so he refunded the price. I waited a few days and ordered another one. When I collected it, I checked it before leaving the store - same problem! Again, the counter service person agreed that the fixing plate was too small and arranged the refund. I haven't ordered another one! Rated 5 out of 5 by JohnDK from Good quality item What can you say about a toilet roll holder? Well this looks good and it does the job. There's a plus in that the hanging bit the roll goes on can be reversed (always good to have the open end pointing away from the sitter - I said "sitter"). Though be careful when taking it out of the pack as the grub screw that holds the hanger in (don't over-tighten) will be undone and if you don't hold both parts one could fall and get damaged). All fittings provided, even the allen key. Rated 5 out of 5 by Varne from Good value. Feels solid and looks good.